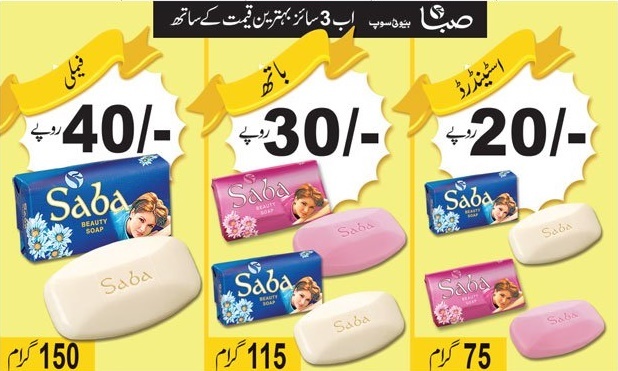 Saba Beauty Soap now available in three sizes Family Size 150 grams which is available in Rs. 40/- and Bath size 115 Grams Price Rs. 30/- 75 grams Standard size is available in Rs. 20/- (PKR). Saba Beauty soap is specially design for ladies who wants to look pretty on every occasion they must use Saba beauty soap. More it will smooths your skins and moisture free your body.